Many major sops were announced for various sectors, however, the raising of income tax slab to Rs 5 lakh was the headline of the interim budget. Also, monthly monetary assurance was announced for small and marginalised farmers along with a pension scheme for people aged above 60 in the unorganised sector. 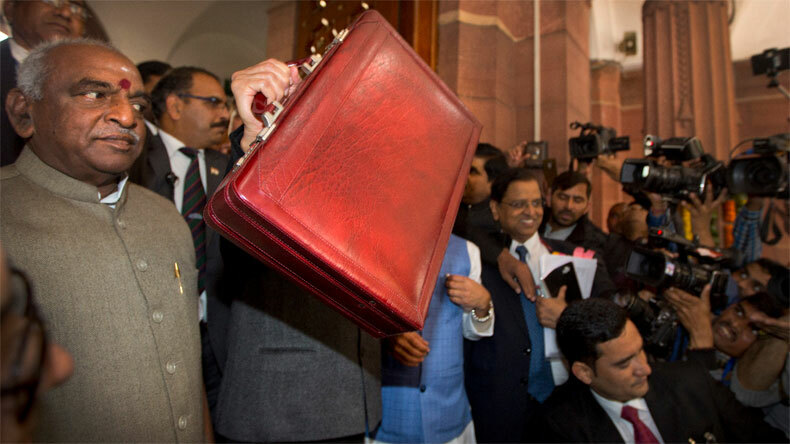 Finance Minister Piyush Goyal, who is in interim charge of the ministry in absence of ailing Arun Jaitley, presented the Interim Budget 2019 on Friday. Many major sops were announced for various sectors, however, the raising of income tax slab to Rs 5 lakh was the headline of the budget. Also, monthly monetary assurance was announced for small and marginalised farmers along with a pension scheme for people aged above 60 in the unorganised sector. Individual taxpayers having annual income up to Rs 5 lakh will get a full tax rebate. Individuals with gross income up to Rs 6.5 lakh will not need to pay any tax if they make investments in provident funds and prescribed equities. Standard tax deduction for salaried persons will be raised from Rs 40,000 to Rs 50,000. Around 3 crore middle-class taxpayers will get tax exemption due to this measure. Also, tax-free gratuity limit will be increased to Rs 20 lakh from Rs 10 lakh. The processing of IT returns will be done in just 24 hours. Also, within 2 years, tax assessment will be done electronically. Pradhan Mantri Kisan Samman Nidhi (PMKSN) has been approved to provide assured income support to small and marginal farmers. Under this scheme, Rs 6000 per year will be provided to each farmer in three installments. The grant will be transferred directly into farmers’ bank accounts. The PMKSN should be noted that this scheme is for farmers with less than 2 hectares land holding. This initiative will benefit 12 crore small and marginal farmers at an estimated cost of Rs 75,000 crore, this will enable farmers to earn a respectable living. Mega Pension Yojana, namely Pradhan Mantri Shram Yogi Mandhan, to provide assured monthly pension of Rs 3000 per month, with a contribution of Rs 100 per month, for workers in unorganized sector after 60 years of age. This scheme will benefit 10 crore workers in the unorganized sector and it may become the world’s biggest pension scheme for the unorganized sector in five years. The allocation for the Rashtriya Gokul Mission, which focuses on the production and productivity of cows, was increased to Rs 750 crore this year. Also, 2% interest subvention to farmers for animal husbandry was announced. Businesses with less than Rs 5 crore annual turnover, comprising over 90% of GST payers, will be allowed to return quarterly returns. Also, Rs 1 crore loan can now be obtained under 59 minutes. Minimum 14% revenue of GST to states by Central government and custom duty was abolished from 36 Capital Goods. Rs 35,000 crore has been disbursed for Indian soldiers under One Rank, One Pension (OROP) while the substantial hike in military service pay was announced. Rs 60,000 crore will be granted to MGNREGA and Rs 1.7 lakh crore will be given to ensure food for all. 21 AIIMSs have been established out of which 14 have been announced since 2014. The 22nd AIIMS will be set up in Haryana.